A jury in Jefferson County, Missouri returned a verdict of $1.5 million for an accident victim who was injured while riding on a manually operated amusement device known as a Spaceball. 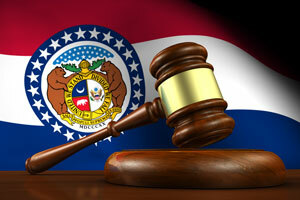 The Missouri Court of Appeals rejected several challenges to the verdict. The most substantial challenge was to the admission of expert medical testimony on behalf of the victim. Adam Payne attended a fundraising event for a youth football organization. The event took place at a recreational facility owned by Fiesta Corporation. Fiesta also owned a ride on which Payne was injured. The ride, known as the “Spaceball human gyroscopic ride,” is a single-seat ride that spins sideways while rotating the rider in a circle. A harness secures the rider to the seat. The harness is locked in place with a cotter pin. An operator manually turns a control wheel that sets and keeps the ride in motion. Fiesta claimed that it trained members of the youth football organization to operate the ride, but that they failed to appear for the event. Payne alleged that Fiesta did not train anyone. In any event, it was undisputed that the Spaceball ride was in operation throughout the event, that Fiesta employees were aware that patrons were using the Spaceball ride, and that the employees did nothing to supervise or prohibit its use in the absence of trained operators. Payne relied on two bystanders to help him into the Spaceball harness. He testified that he assumed, but was not told, that the bystanders were trained to operate the ride. The bystanders did not secure the harness properly. Payne fell and sustained a neck fracture that resulted in a degenerative disk disease. The jury determined that Fiesta was negligent in providing the Spaceball ride without assuring that its use was supervised by a trained operator. The jury returned a verdict for Payne of $1.5 million for future pain and suffering, about twice the amount that Payne’s lawyer asked the jury to award. Dr. Armond Levy, a neurosurgeon, testified by video deposition. Dr. Levy took over Payne’s treatment from another physician after that physician left his practice. Dr. Levy relied upon the prior physician’s treatment notes when he treated Payne. The first physician’s notes reflected that a joint between two neck vertebrae was injured in Payne’s fall. The physician considered surgery but wanted to try more conservative treatment first, including physical therapy, stabilization with a cervical collar, rest, and medication. A year after the fall, when Payne first saw Dr. Levy, he complained of continuing pain. Dr. Levy testified that the pain resulted from an injury that was caused by Levy’s fall while riding the Spaceball. Since conservative treatment did not alleviate Payne’s pain, Dr. Levy recommended an aggressive surgical approach. He ruled out less invasive surgery and concluded that a cervical fusion would be the only effective means of lessening Payne’s ongoing suffering. Payne had not decided by the time of trial whether to have the surgery. Dr. Levy also opined that, while Payne’s fracture had healed by the time of trial, Payne suffered damage to a nerve root in the cervical spine. The fact that nerve root injections provide temporary pain relief supported that conclusion. Fiesta objected the admissibility of Dr. Levy’s video deposition. Fiesta argued that Dr. Levy’s opinions about causation and the likelihood of future pain and suffering were speculative. Fiesta contended that Dr. Levy noted but did not rule out a “preexisting degenerative and scoliotic deformity of his neck” as the source of Payne’s suffering after the Spaceball accident. The appellate court initially noted that injuries can have more than one cause. Under Missouri law, if negligence contributes to the injury, an independent or intervening cause of the injury does not shield the negligent party from liability. Moreover, while Dr. Levy recommended fusion surgery, he did not testify that Payne would eventually be required to undergo the surgery. Under Missouri law, a medical opinion that an injury has increased the likely need for surgery in the future is relevant evidence. Juries are entitled to consider that likelihood when they assess damages. The court examined the whole of Dr. Levy’s testimony to determine its admissibility. While Dr. Levy expressed uncertainty during some of his testimony about the relationship between the preexisting injury and the injury caused by the fall, he also testified to a reasonable degree of medical certainty that the fracture and the nerve root damage were caused by the fall. Fiesta’s objection to the admissibility of the entire deposition, if granted, would have prevented the jury from hearing admissible testimony. Rather than focusing its objections on specific answers to specific questions, Fiesta’s tactic of objecting to the deposition in its entirety was misguided. Fiesta also complained that Dr. Levy could not explain with certainty why Payne continued to suffer after the fracture healed. Dr. Levy testified that nerve root damage was a “theory” that explained ongoing pain, albeit one that was supported by medical evidence. The appellate court concluded that Dr. Levy was not required to explain the precise mechanics of the injury. He was only required to testify that the fall caused Payne’s continuing pain. That testimony was supported by the facts, including the absence of neck pain prior the fall, the efficacy of nerve root injections at relieving pain, and Dr. Levy’s review of X-rays, CT scans, and MRI scans. Dr. Levy’s opinion as to causation and the likelihood of continuing pain was therefore admissible. The court’s decision is consistent with the general rule that medical testimony need not conclusively establish a mechanism of injury. Medical science is fraught with uncertainty, but plaintiffs in civil cases need only prove causation and damages to a standard of probability, not certainty. The fact that a doctor does not understand the precise cause of pain does not prevent a doctor from opining, based on medical judgment, that the pain is probably caused by a specific event.